If you’ve gone to the movies at all during the past 20 years, chances are you’ve seen the work of Gary Archer. You won’t find him on a sound stage, however, because he works his Hollywood magic in a dental laboratory. Archer is a dental technician known for creating some of the worst smiles you’ve ever seen on the big screen — including Austin Powers’ gnarly grin and Mrs. Doubtfire’s dropping dentures. Recently, Dear Doctor TV spoke with this master of special-effects dentistry about some very unusual smile makeovers! Here are some highlights from our interview. 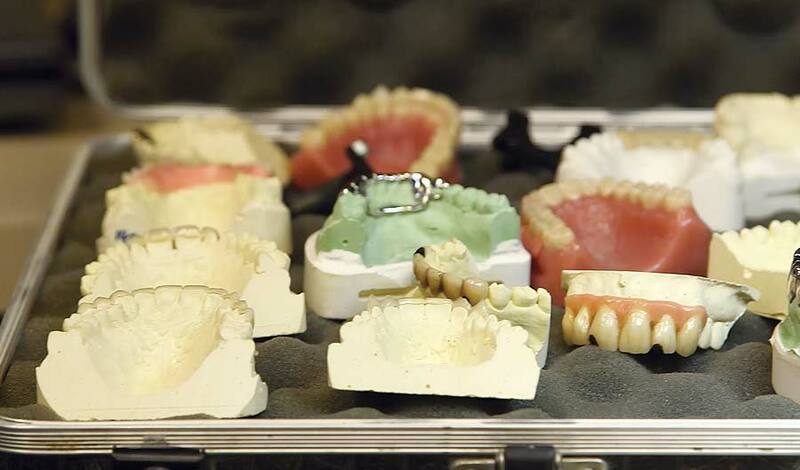 As a dental technician working in the movie industry, you’ve had some very unusual assignments. First let’s talk about what a dental technician normally does. Could you explain that for us, please? We fabricate all of the dentures, crowns, bridges, orthodontic appliances that are prescribed by a dentist. We fill prescriptions — we’re pharmacists, basically, for the dental industry. Is custom dental work, then, sort of a team effort between a dentist and a technician? Yes. All dental technology is custom work — there’s really nothing that’s “off-the-shelf.” The dentist will provide us with a prescription and impressions [molds of a patient’s mouth], telling us what they want fabricated for the patient, whether it be a denture, an implant bridge, an orthodontic appliance, and we’re the guys who get to create the smile. We work together. The dentist does the clinical work, we do the technical work, and the collaboration gives the patient a beautiful smile. Robin Williams in Mrs. Doubtfire (1993). The upper denture worn over Robin Williams' front teeth was created by Gary Archer for the movie. Now let’s talk about your special-effects work. How did you get started in that? I was contacted by a makeup and special effects artist and asked if I could make some teeth that would fall out of somebody’s mouth into a glass of water. 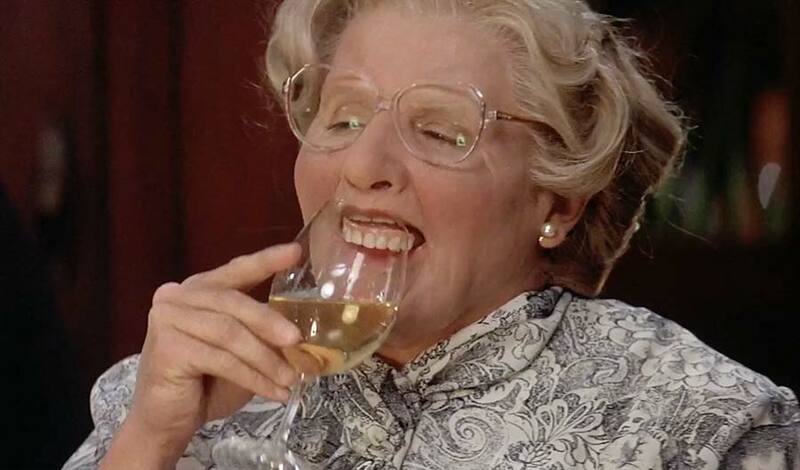 That was for the late Robin Williams in Mrs. Doubtfire (1993). 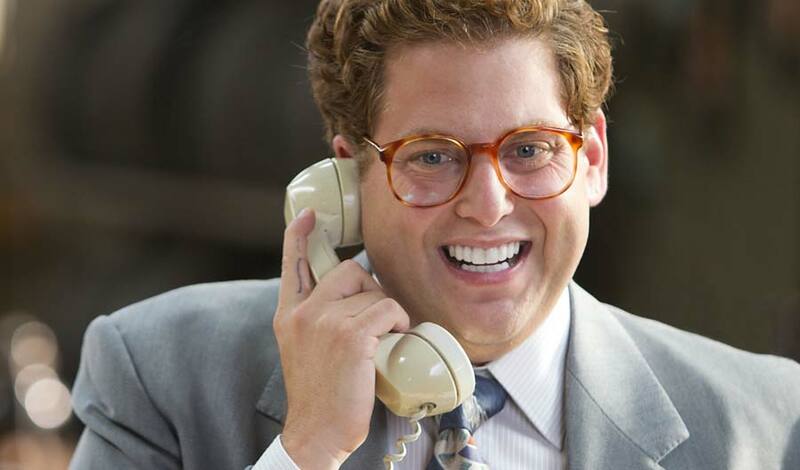 Gary Archer created removable dental veneers for Jonah Hill to wear in The Wolf of Wall Street (2013). Are the materials used for actors different than those used for actual patients? The materials that we use [for special-effects dentistry] are acrylics. For the most part, anything that’s done for real dentistry would be done with porcelain veneers, porcelain-fused-to-metal crowns, or some of the new milled zirconias. I can make veneers look like they’re absolutely real. If you remember seeing Jonah Hill in The Wolf of Wall Street, he had those absolutely translucent, white teeth; that’s all done with acrylics. That is just highly polished and glazed acrylic that he wears over his own teeth. He can snap them out, put them in a case, and off he goes. If you were going to a dentist for that, the dentist would have to prepare your teeth, you’d have to take an impression, send it to the lab, I’d give that to the porcelain [technician], the porcelain [technician] makes up individual veneers, they very, very delicately go over the teeth, the dentist then gets them back, they’re [bonded] in the mouth, and the patient now has this beautiful, white smile. Does the actor get fitted by you directly for their prosthetic smile, or do they go to a dentist who then sends you molds of the actor’s mouth? For the most part, they will come and see us. I step out of my regular role as a dental technician and I become a makeup artist, albeit one that just specializes in teeth. I take all my own impressions when it comes to doing film work and I will sit down with the makeup artists, producers, directors, whoever is in the process, and we’ll design what they’re looking for. The hardest part sometimes is to get what’s in their head down on paper so I can create what I think they want. There’s a little bit of trial-and-error that goes into that. Sometimes we make two or three different pieces that they can choose from. Is it enjoyable making smiles scary instead of beautiful? Was switching gears like that difficult to get used to? Yes, it goes against the grain of every technician, it goes against the grain of what we are taught — everything that we know has to be thrown out the window. We’re getting Hollywood A-listers with really nice smiles and we’ve got to make them look horrible. I’ve created some absolutely horrific smiles, some absolutely nightmarish-looking teeth! We’ve created “meth mouth,” we’ve created gaps, teeth that fly out of people’s mouths on camera when someone gets hit in the face. Gary Archer and Mike Myers worked closely together to create the iconic bad teeth of Austin Powers: International Man of Mystery (1997). What was your favorite movie transformation that you’ve worked on? My all-time favorite has got to be working with Mike Myers and doing the Austin Powers series. He came and saw us along with his makeup artist. We decided we wanted to have prototypical 1960s bad British teeth. 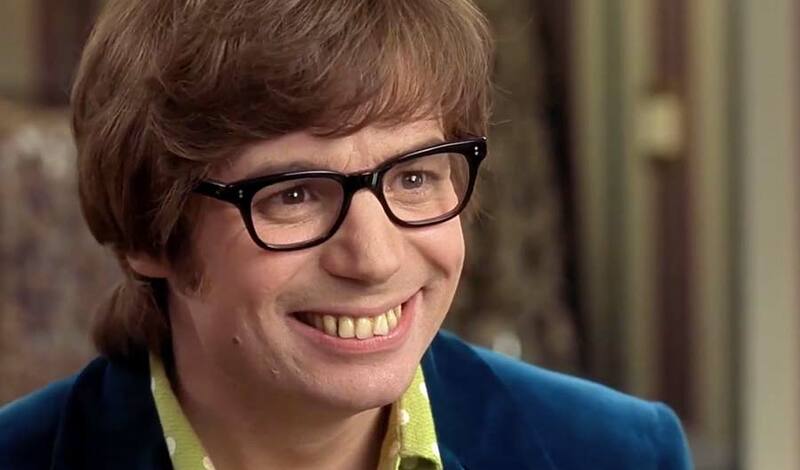 The first set of teeth we created out of the box was the smile that everyone knows as Austin Powers’ with the crooked teeth and the gaps and the stains. Mike took those and really made them famous. We went through three films with him, just a wonderfully funny man, absolutely brilliant. Does it take the actors time to get used to wearing these teeth? Usually the actors and actresses get used to it within an hour or two, they just get so comfortable with them. When we worked with Anthony Hopkins on Nixon, we made him upper and lower prosthetic veneers so he would more resemble the character, and he was continually just going off to lunch, forgetting that he was wearing these things. He went home at night wearing them, took a bite of an apple and, of course, being plastic, they broke. They became part of him and they are comfortable. What’s one of the more unusual movie projects you’ve worked on? I had to manufacture a dental abscess. If you remember the film Cast Away with Tom Hanks, he was stranded on an island and had a toothache. They wanted to have an abscess above the tooth with all sorts of gunk and pus and stuff coming out of it. I met with Tom and I took the impressions on him and we came up with this wonderful little piece. It was only in the film for a few moments but everyone remembers him taking the ice skate and knocking his tooth out with it because it was causing him such pain. It was not for the easily squeamish! A sampling of the many removable prosthetic devices created by Gary Archer for Hollywood movies. Tell us about some of the other movies you’ve worked on. For Interview with a Vampire, we did 150 sets of vampire teeth for the main six characters [including] Tom Cruise and Brad Pitt. They wanted short sets, long sets, biting teeth… I’ll tell you, after that was over, I never wanted to see another set of vampire teeth again! If you’ve ever seen a show where someone gets hit in the face and they spit out a tooth, there’s a piece that we make called a breakaway veneer. What we will do is make a complete set of acrylic veneers and the one tooth that’s going to be knocked out is held in there with pink wax. When they take their fake punch in the mouth, they can flick it with their tooth, they’ll have a blood pack under the lip, they pop the blood pack, they flick the tooth out and the next thing you know, you’ve got the tooth sitting in someone’s hand. Do you still do regular dentistry — the kind where you make people look good — or has this taken over your business? I would never give up the regular side of the dental lab industry. Seeing patients with happy smiles is really a very, very satisfying thing for me.